Hundreds of thousands of ultra-Orthodox Jews descended on Jerusalem on Sunday to protest a bill that would require members of their community to serve in the Israel Defense Forces. Israeli media estimated that between 250,000 to 400,000 people attended the mass prayer. Most Jewish men are required to serve in the IDF, but the ultra-Orthodox — who make up about 8 percent of Israel’s 8 million citizens — have long been able to avoid service to pursue full-time religious studies. “We want to show that we are united and we want to stop a bad thing that they are trying to force us into. The army is not our way of life. It is not run by our rabbis,” 18-year-old Mordechai Seltzer told Reuters. 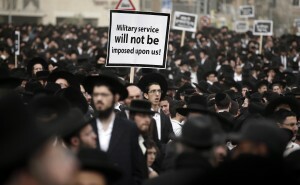 The military exemption of ultra-Orthodox men has become a point of contention for other Israelis who say the community is not pulling its weight. 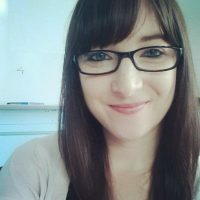 Secular Israelis also take issue with the fact that older ultra-Orthodox men often don’t work, and collect welfare stipends while studying the Torah and other religious texts at yeshivas. Naftali Bennet, Israeli economy minister and chairman of the Jewish Home party wrote a piece in the New York Times earlier this month arguing Israel’s economic future depends on finding ways to pull the ultra-Orthodox into the mainstream workforce. “With extremely low labor participation, ultra-Orthodox Jews and Israeli-Arab women have unfortunately slipped into a situation of welfare and poverty. For ultra-Orthodox men, it stems from a refusal to serve in the military and instead to sign up for religious study in yeshivas,” he said. The ultra-Orthodox contend they serve the country through their study and prayer, therefore maintaining the traditional Jewish culture and keeping religious traditions alive. According to the Washington Post, the controversy over drafting ultra-Orthodox men into the IDF has intensified in recent weeks, as members of Prime Minister Benjamin Netanyahu’s ruling coalition finalize legislation to call for a universal draft. The draft bill up for a vote in Israel’s parliament would require only a fraction of eligible ultra-Orthodox to serve, Inna Dolzhansky, spokeswoman for lawmaker Ofer Shelah, told the Associated Press. According to Dolzhansky, the bill calls for the IDF to draft an increasing number of ultra-Orthodox Jews each year, with the goal of ultimately enlisting 5,200 by mid-2017. Ultimately, if the quotas are not met, the bill calls for criminal sanctions for those who avoid mandated military service.